Although pizza is eaten all over the world, the Neapolitan pizza is a true Italian icon and is recognised by the European Union as a ‘Traditionally Speciality Guaranteed’ dish. 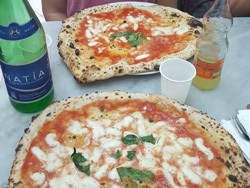 If you would like to spend 12 weeks living in the home of pizza (and one of Europe’s most historic cities), learning not just one but two new skills, our Italian and Pizza making course in Naples would be right up your street! Christmas time in Italy, especially in the south, is very family and religion orientated and less commercial than in many countries. 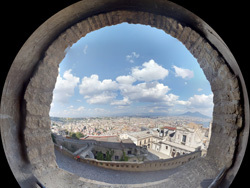 Visiting Naples during this particular period is something not to be missed! The most well known area in Naples for artisan shops and craftsmen, is San Gregorio Armeno area, made up of long narrow cobbled streets in the historical centre of Naples. This area is acknowledged by UNESCO as a World Treasure. All year round you can visit the little shops and bancarelle (stalls) packed full of Presepe (Christmas cribs), and may even see craftmen making new pieces.